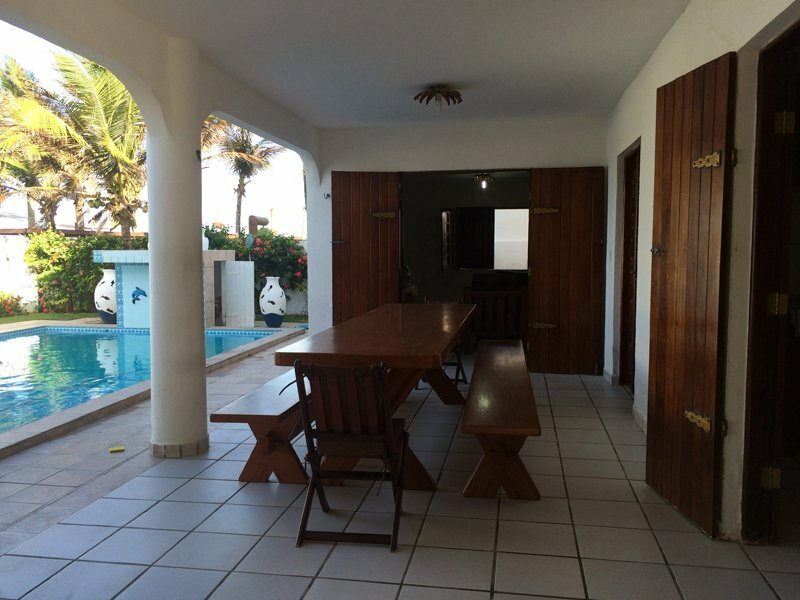 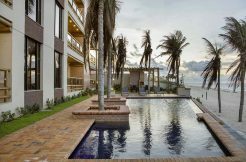 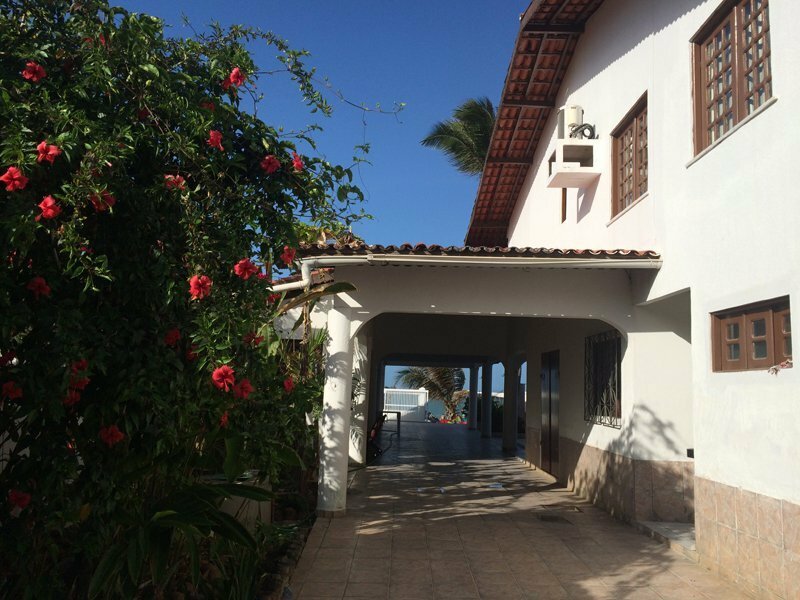 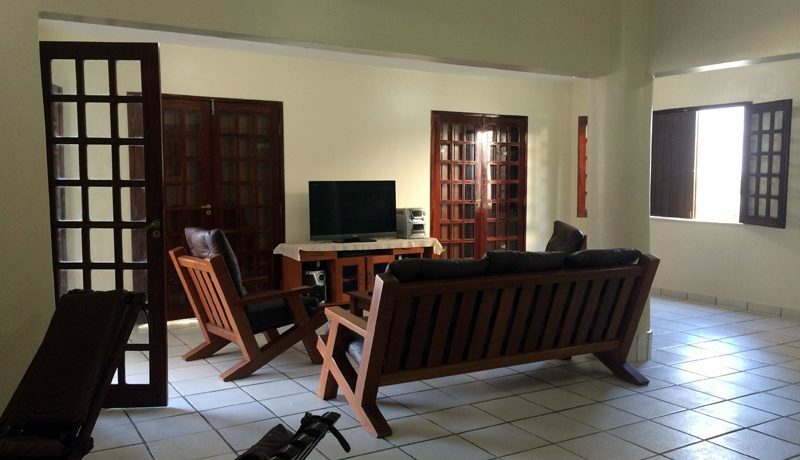 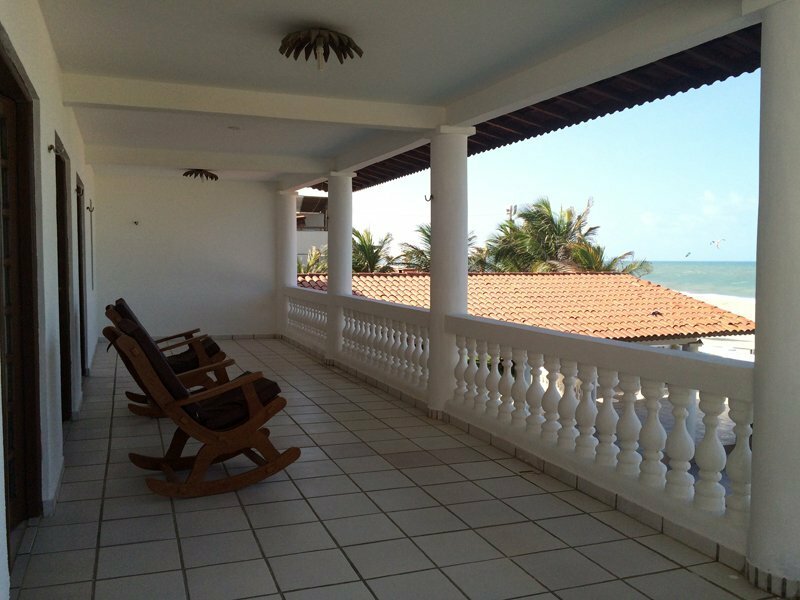 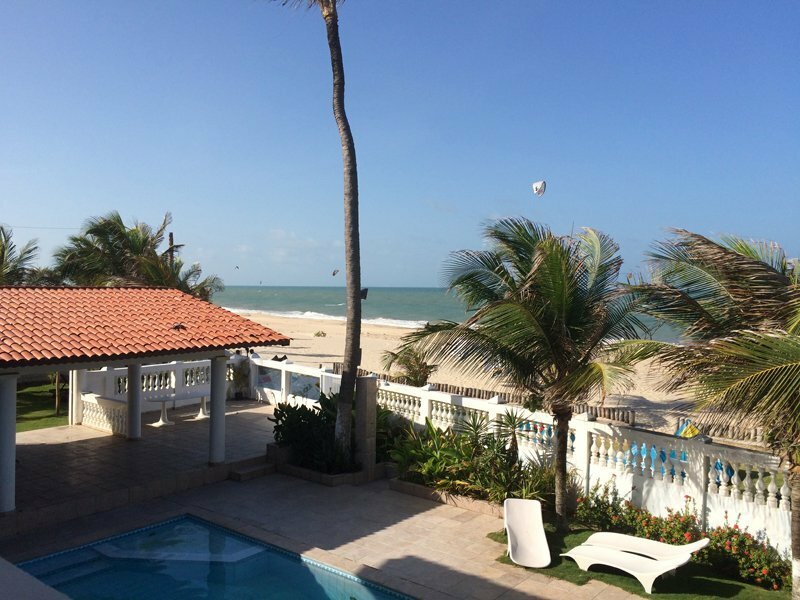 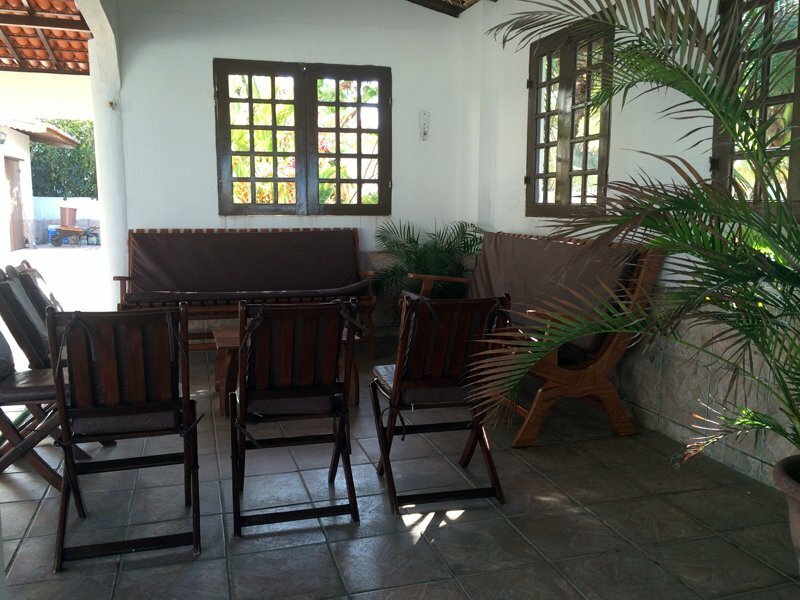 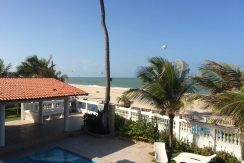 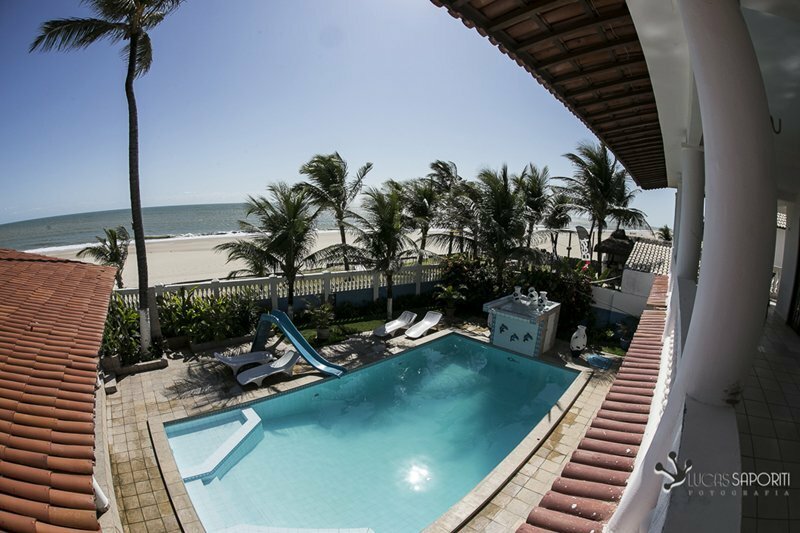 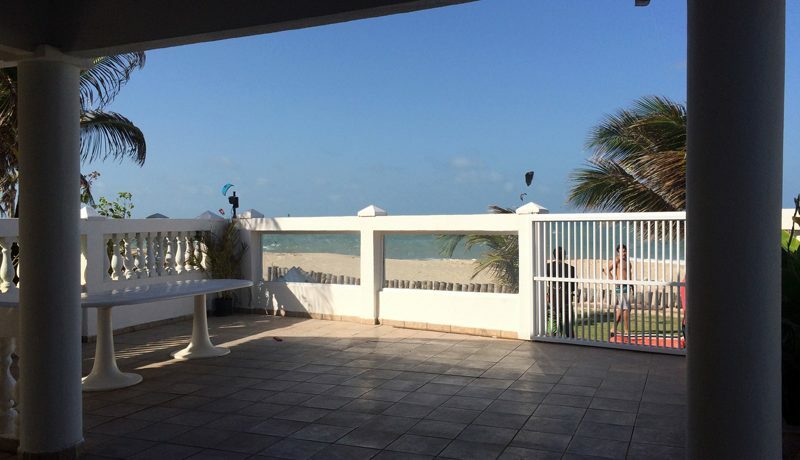 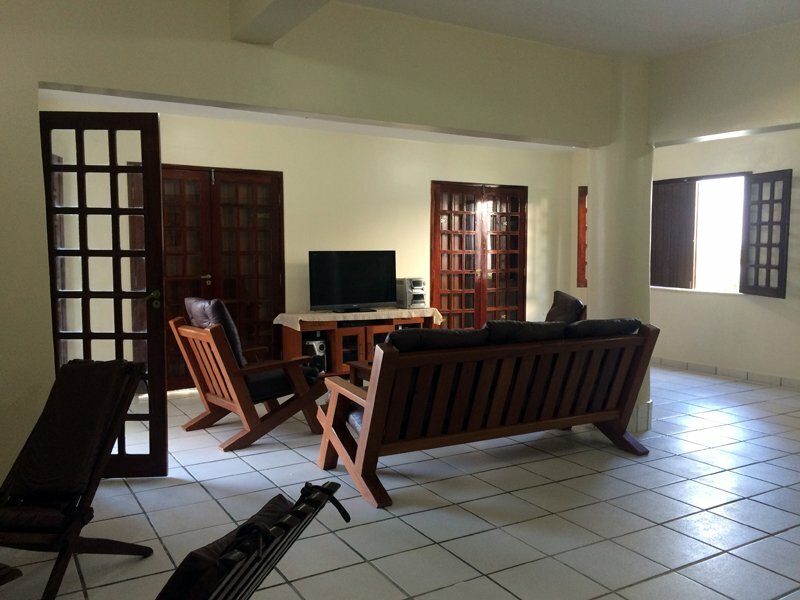 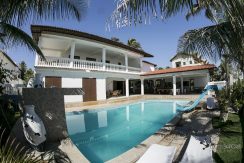 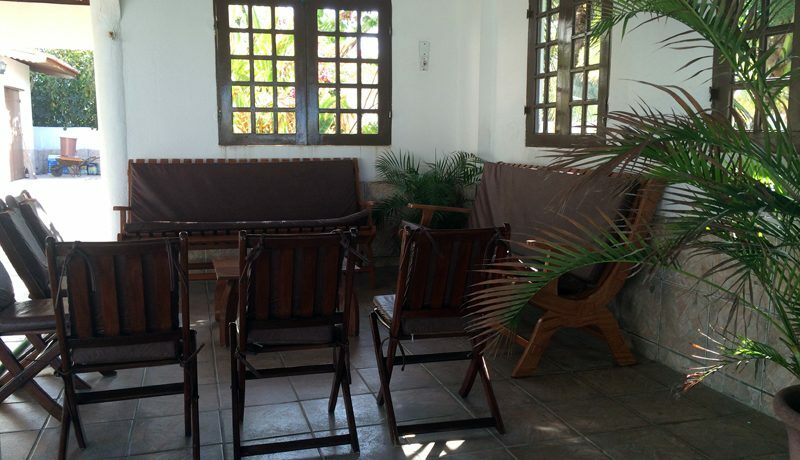 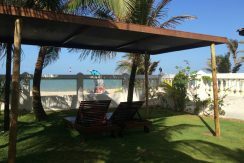 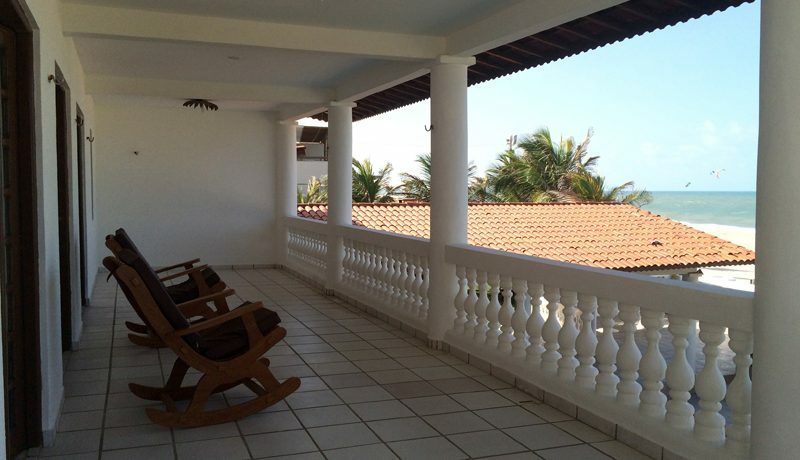 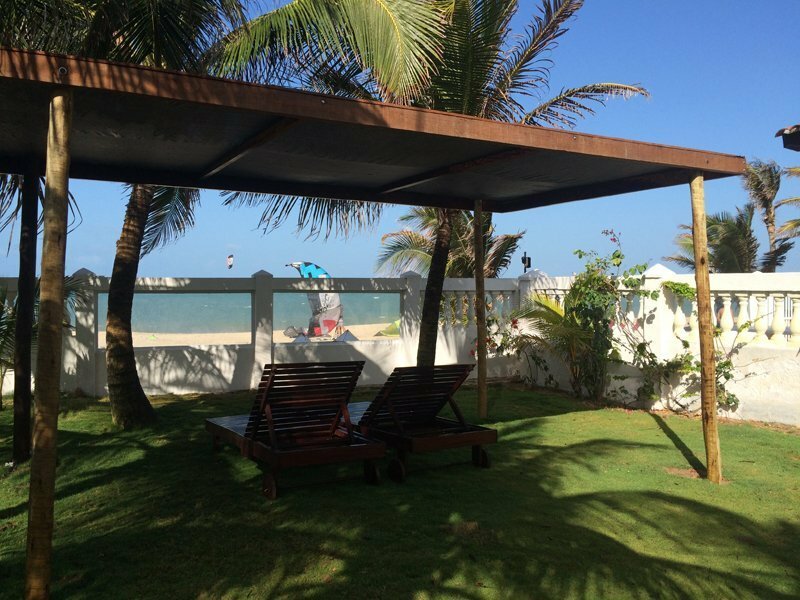 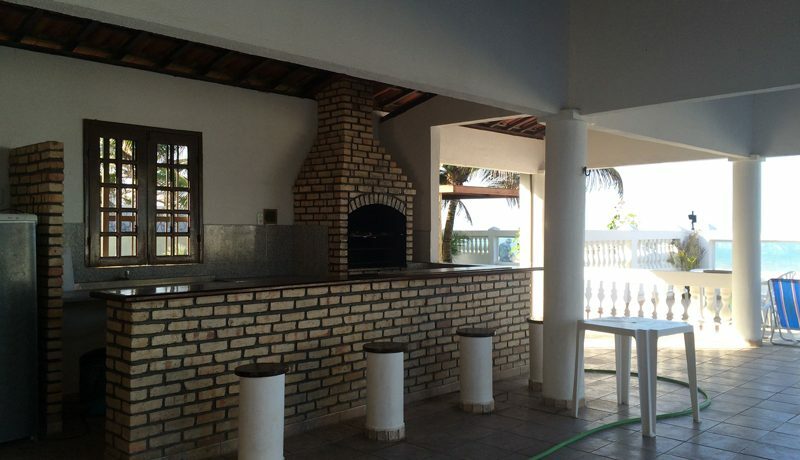 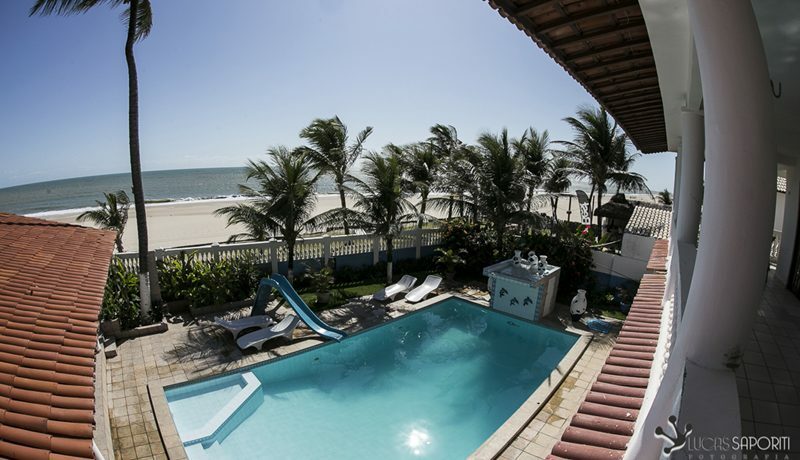 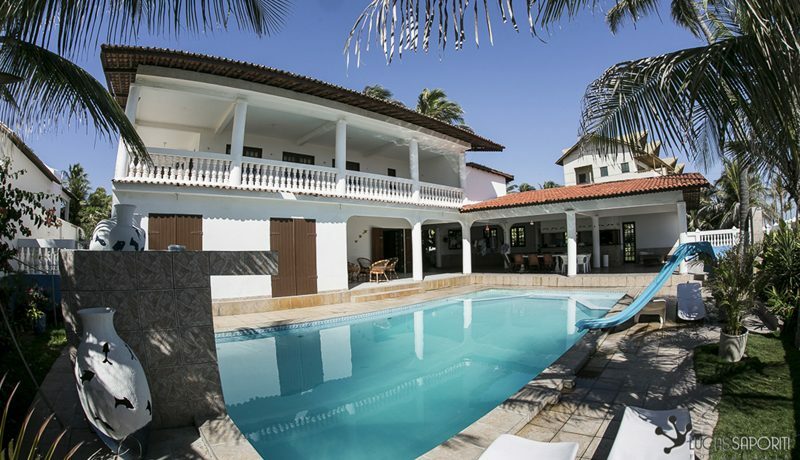 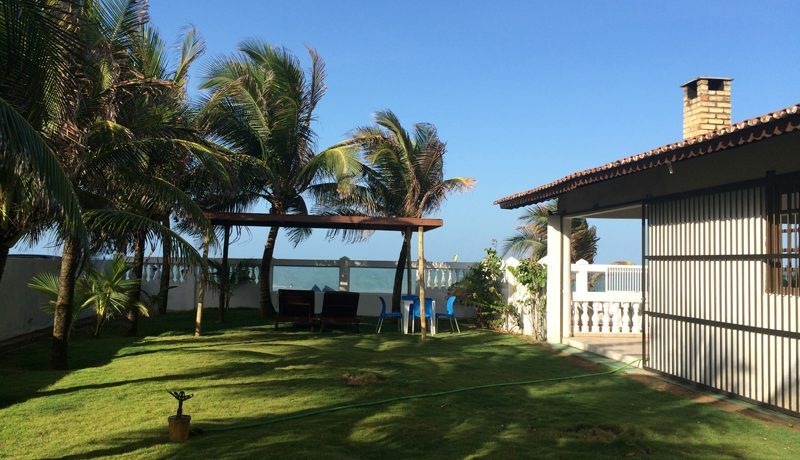 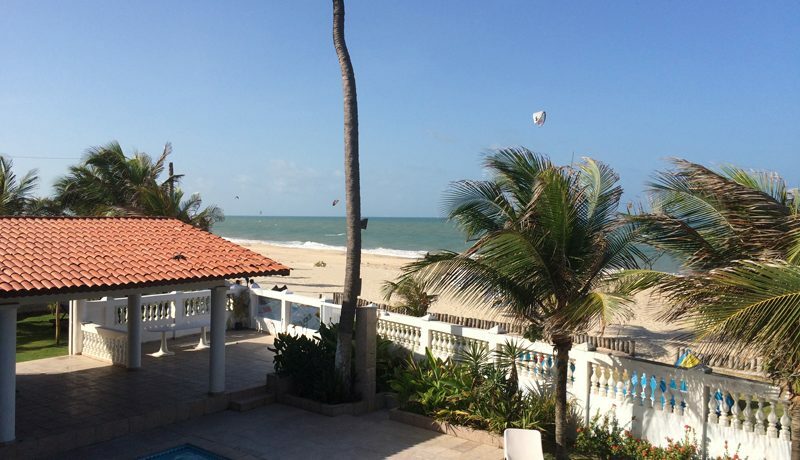 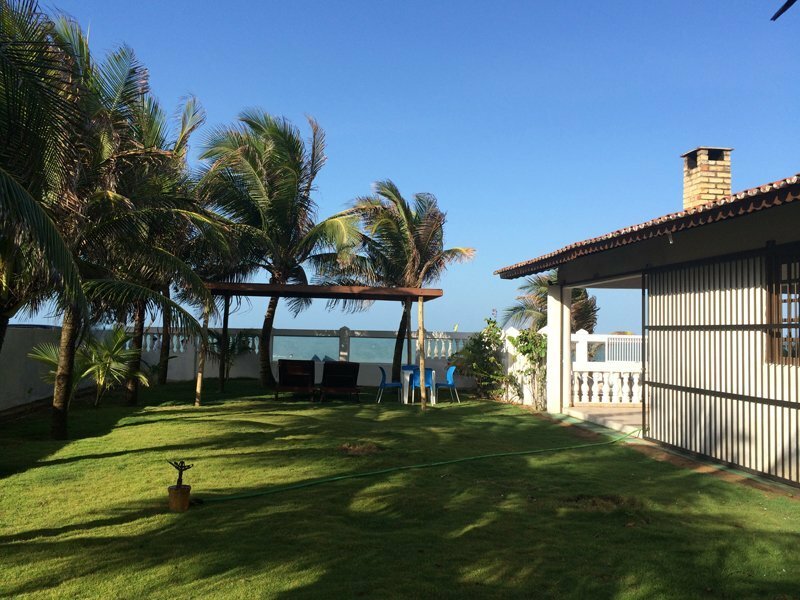 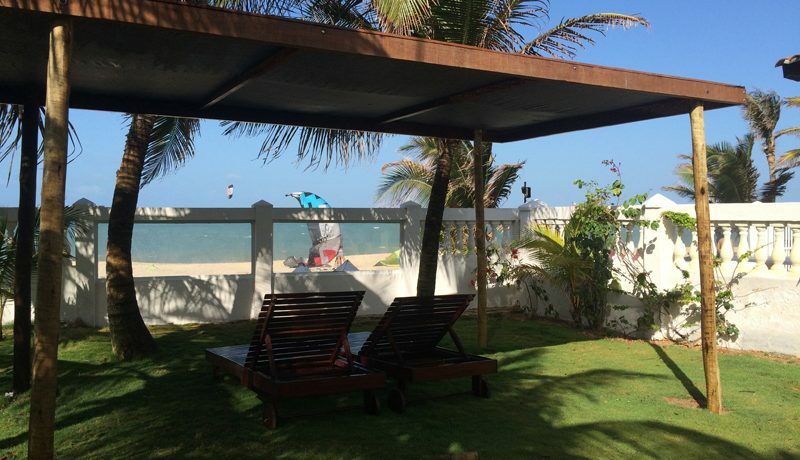 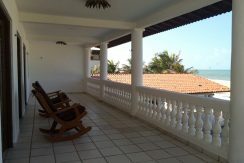 Villa Branca is situated right on the beach near the village of Cumbuco. 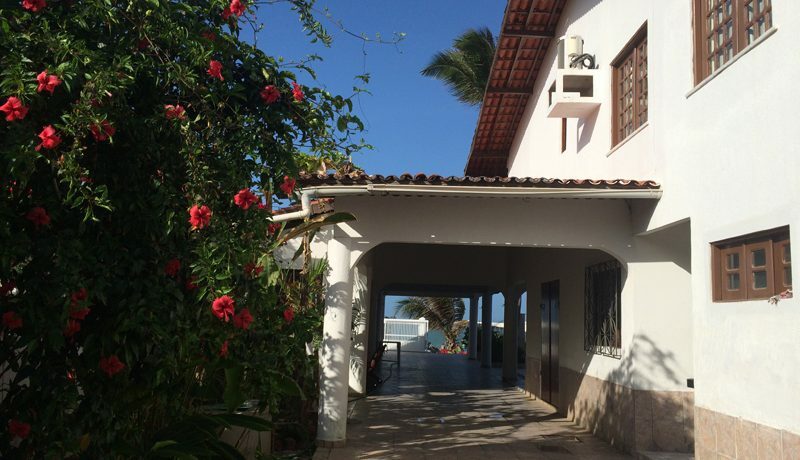 It will take you 15 minutes to walk along the beach to reach the villa of Cumbuco. 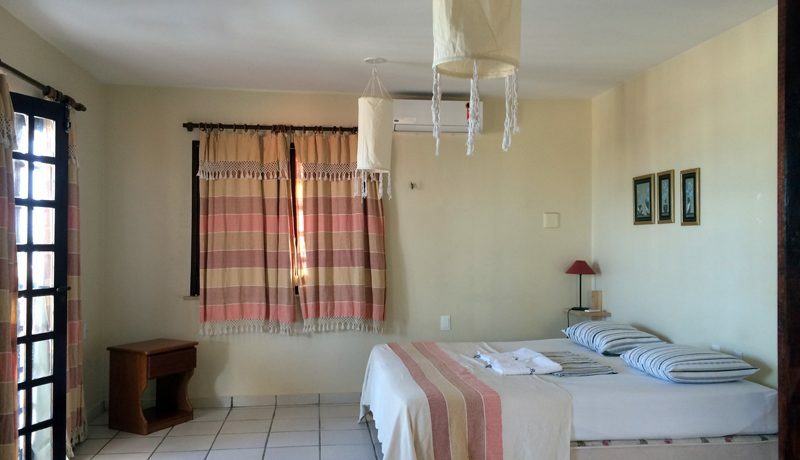 The house offers 6 suites all with own toilets and bathrooms. 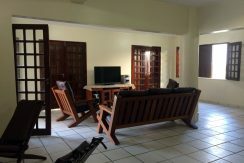 A huge living room with cable TV, sofas and reading chairs to relax after a day on the beach, kite-surfing or hanging out around the swimming pool. 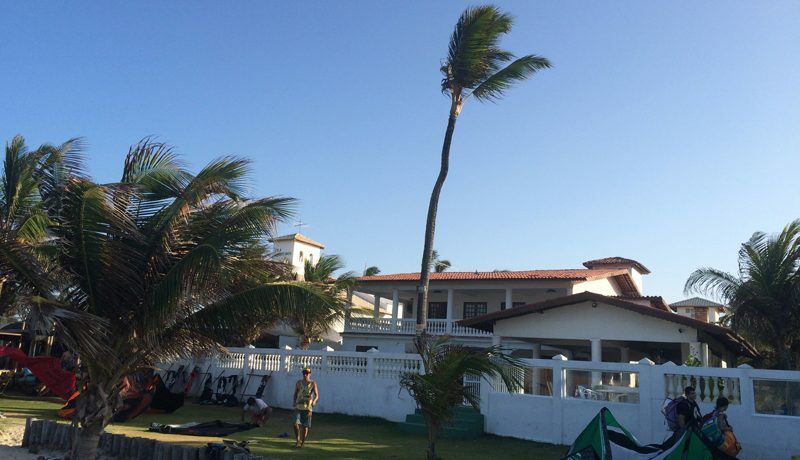 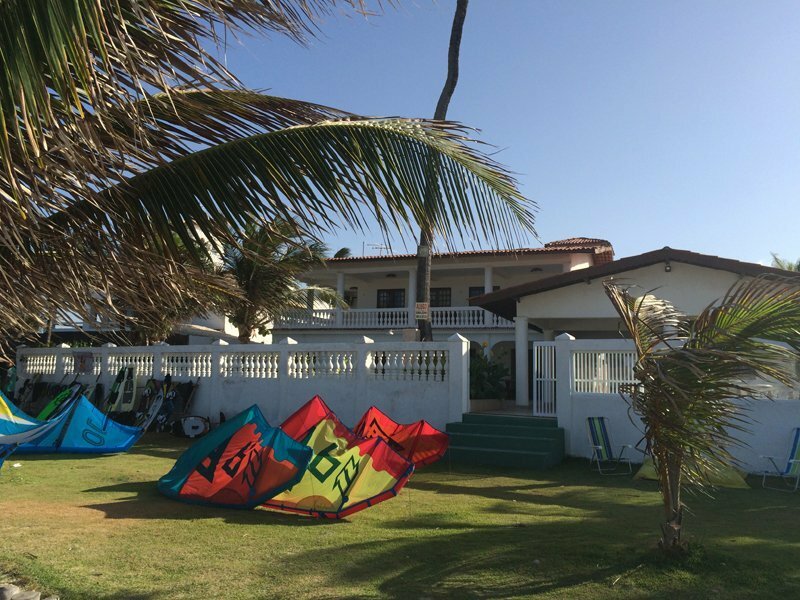 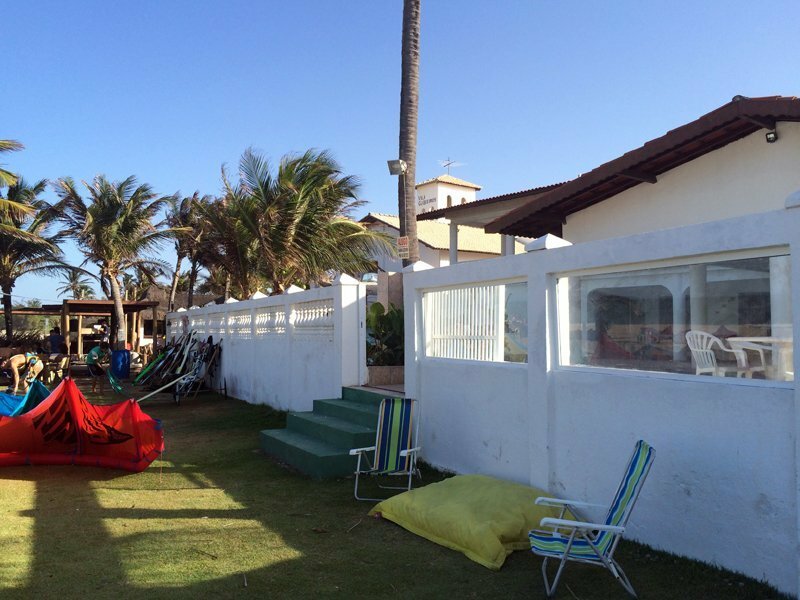 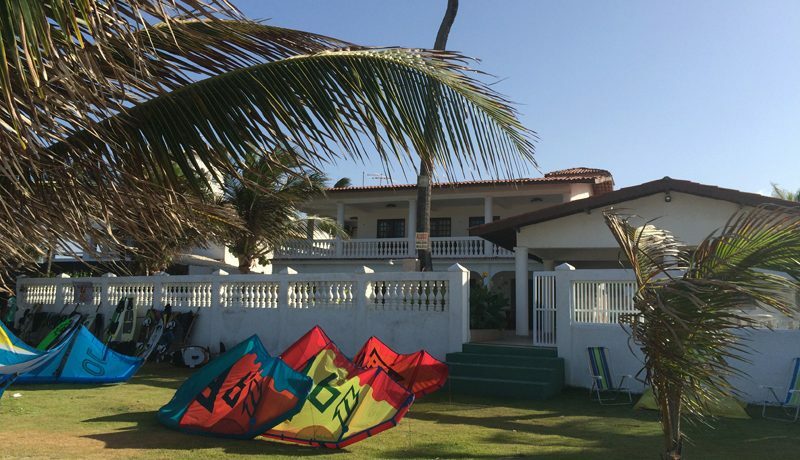 There is a large garden area perfect for preparation of kite surf equipment and relaxations. 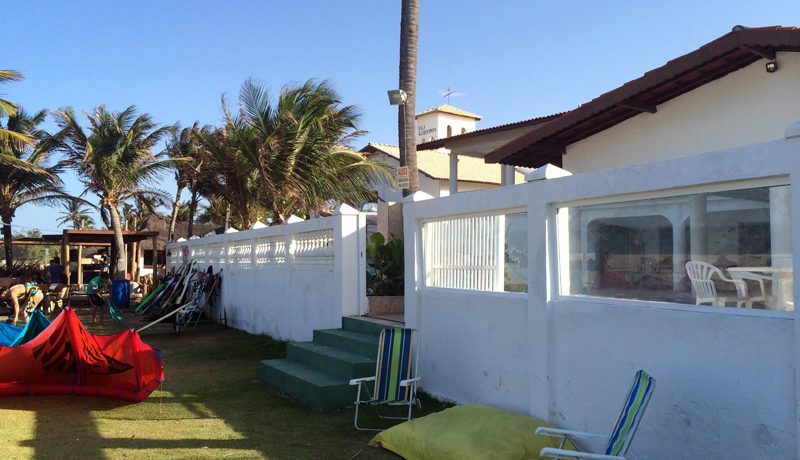 The wall facing the ocean have huge glass windows so that you can see the ocean all the time. 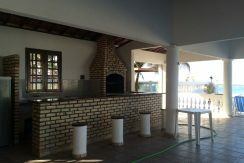 The barbecue area next to the swimming pool is the natural gathering area after a day on the beach. 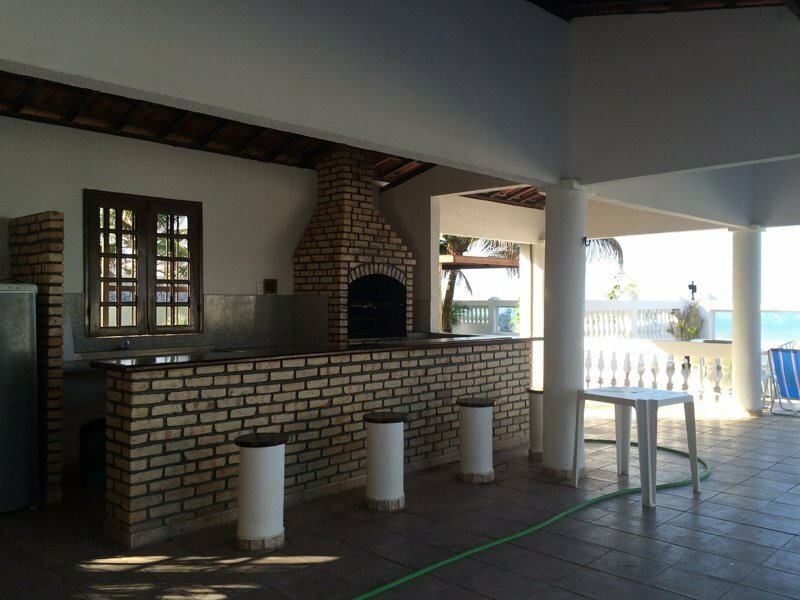 The caretaker can prepare the barbecue and grill food for the guests. 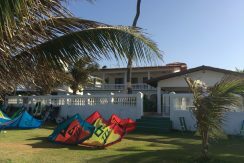 There are plenty of hammocks so that you can relax around the house, read a good book, take a nap or just look at the ocean. 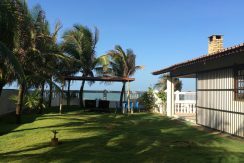 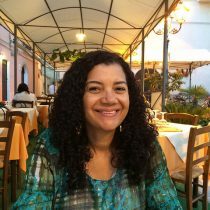 Cumbuco always has a nice breeze that makes the weather here extremely nice and comfortable – for the same reason be careful with the sun and use plenty of sun protection. 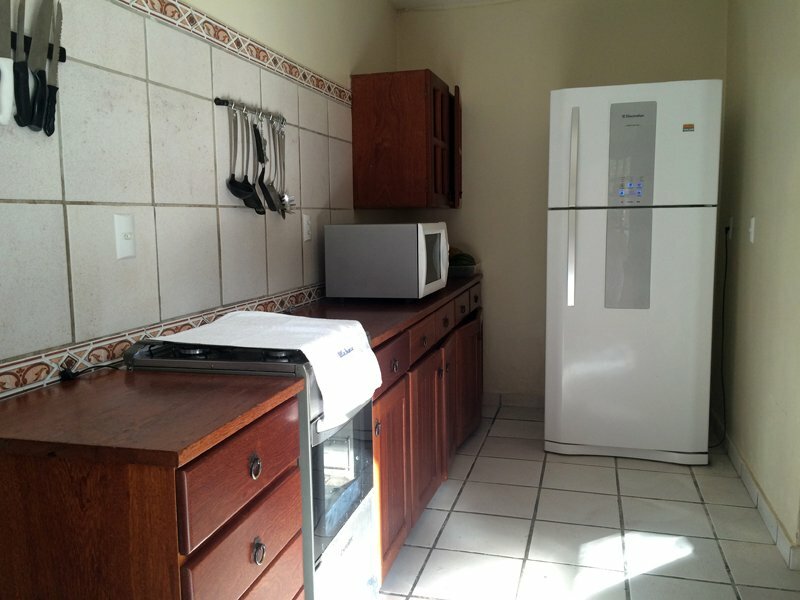 The house has a fully equipped kitchen so you need not to worry about bringing any appliances. 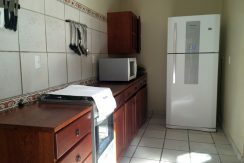 Next to the kitchen there is a laundry room that can be used if necessary. 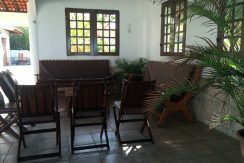 The suites of the house are dived with three on the first floor and three on ground floor. 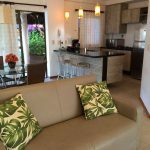 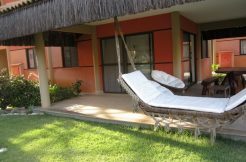 The master suite accommodates 3 – 4 people, faces the swimming pool, and has a huge veranda where you can enjoy the beautiful ocean view, read a book or just relax in the hammock in the fresh breeze from the ocean. 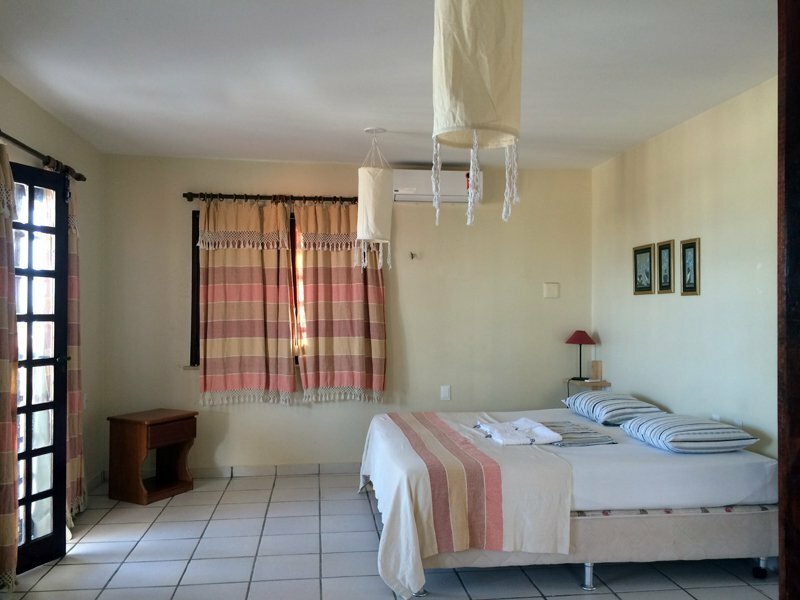 The largest suite of the house (the family suite) is next to the master suite and can easily accommodate a family of 4 – 5 people. 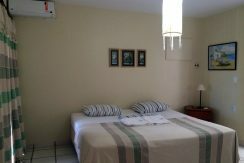 The last suite on first floor is located opposite the family suite and accommodates two people. 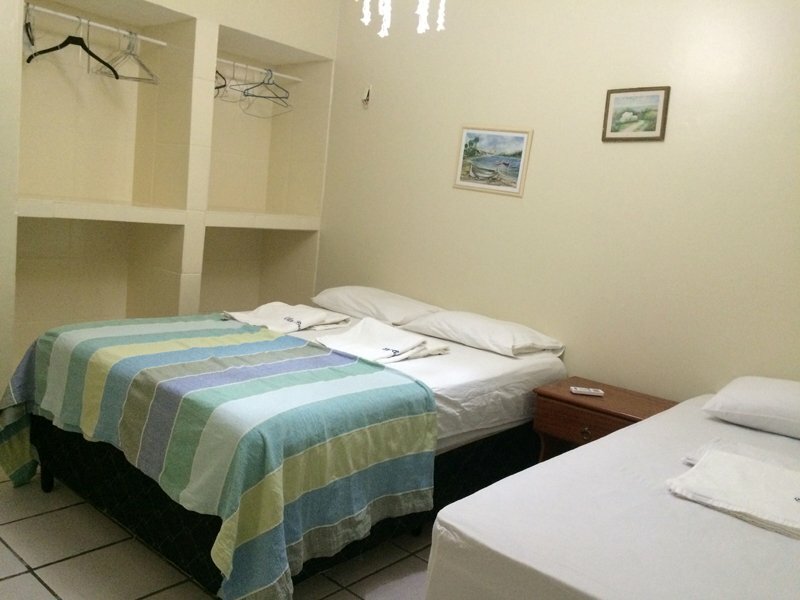 All rooms are equipped with modern and comfortable box beds. 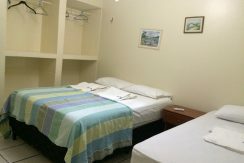 All the suites on ground floor can accommodate 2 – 3 people. 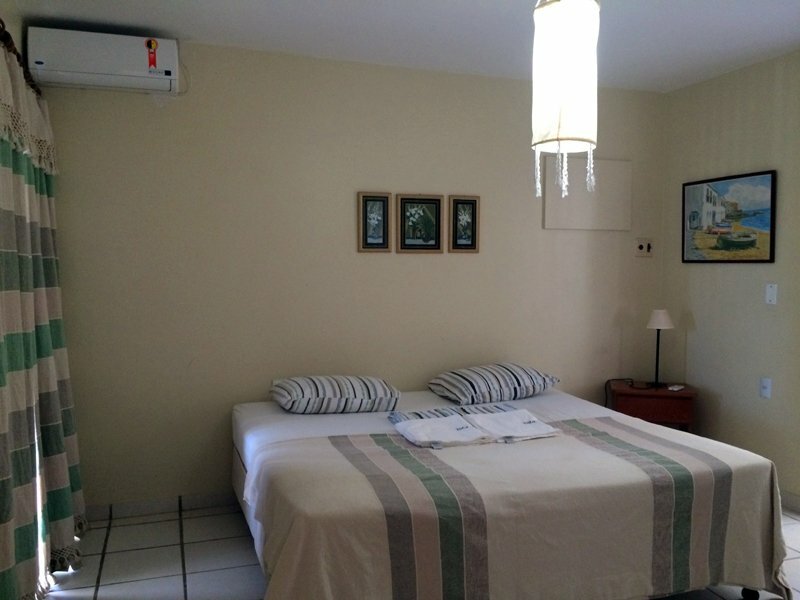 All suites are equipped with air conditioners – electricity used by air conditioners is charged separately. 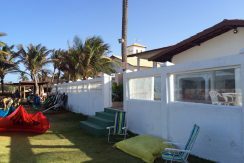 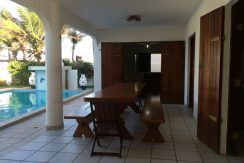 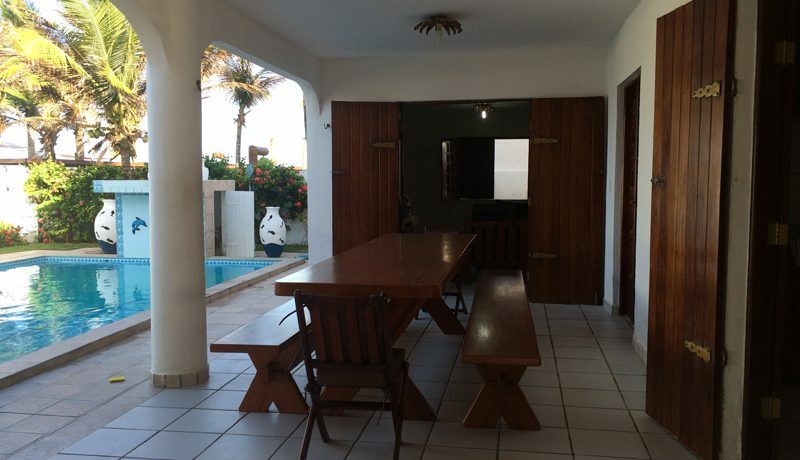 The house has a beautiful garden where you find the swimming pool and the barbecue area and access to the beach. 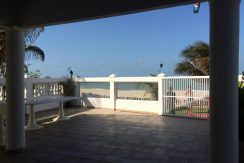 In front of the house on the beach there is a lawn so that you can put out your beach chairs and enjoy the sun and the ocean from a clean and sand free area. 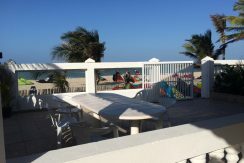 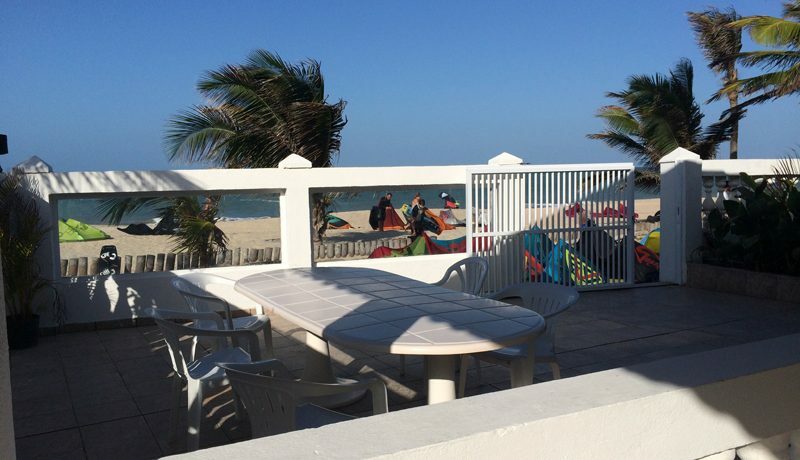 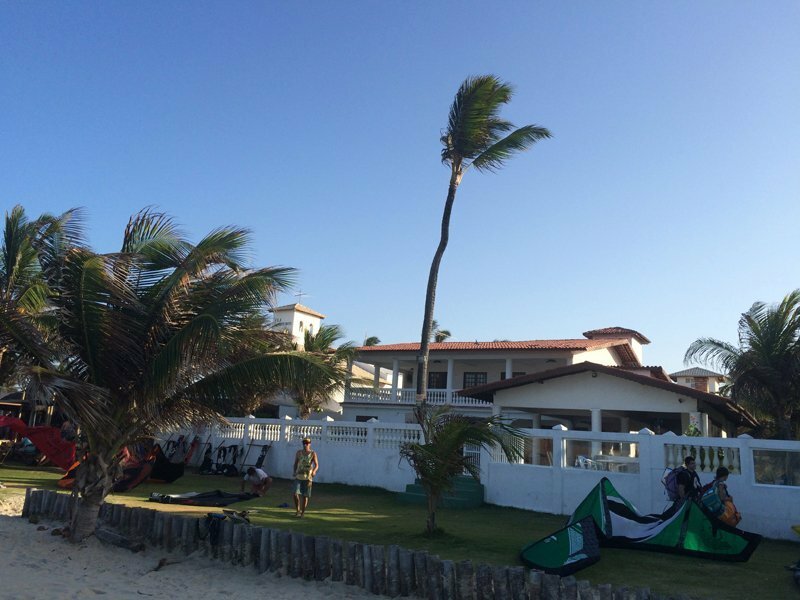 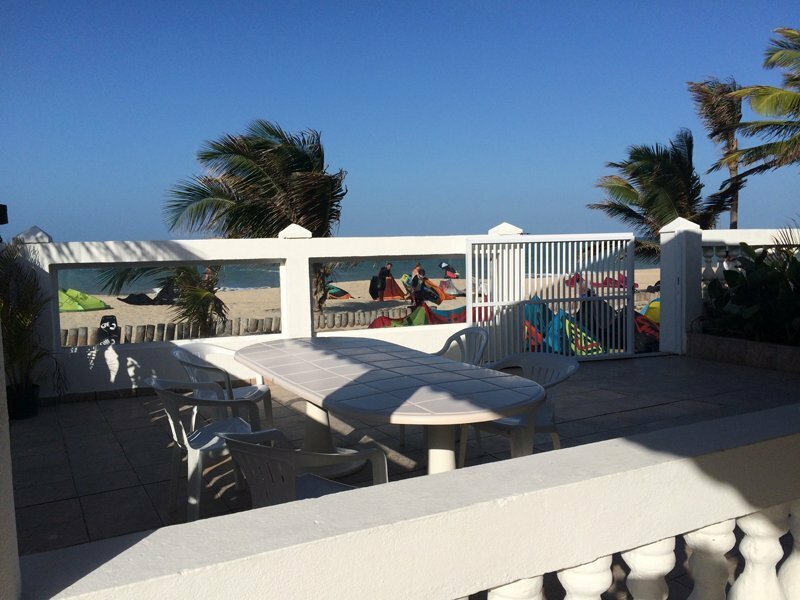 Next to Villa Branca there is a small hotel and kite-surfing school that serves food and drinks. 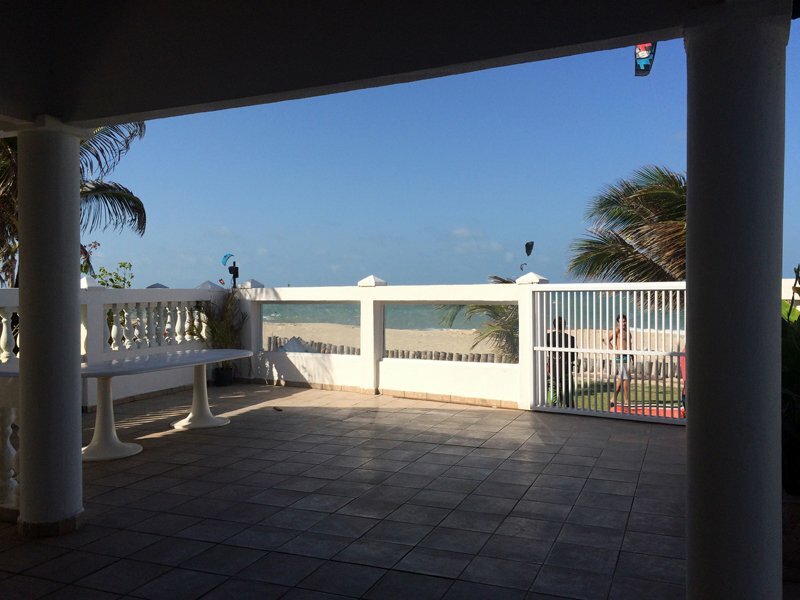 Some times in the weekend they play some lounge music not disturbing but at a comfortable level. 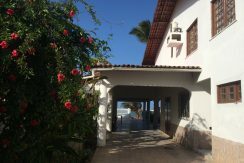 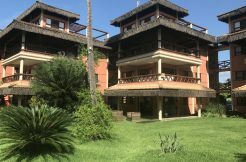 Next to the house is the caretaker house where the caretakers lives, they can be contracted to arrange for breakfast, supermarket shopping and transportation at extra charge. 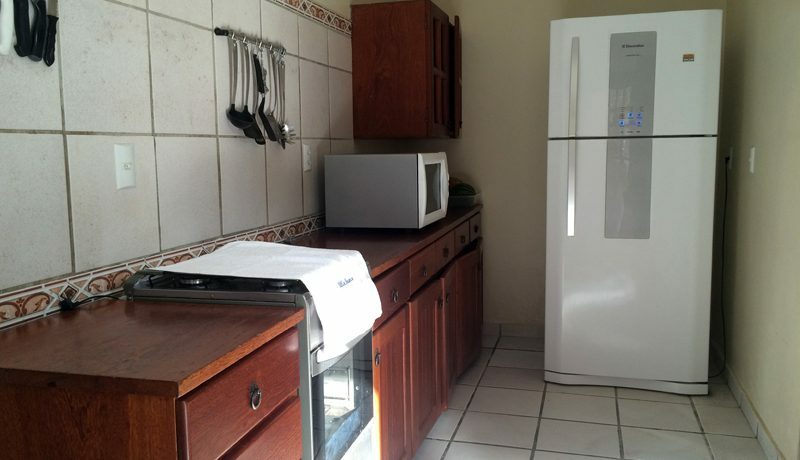 Not included: Electricity used by air-conditioners. 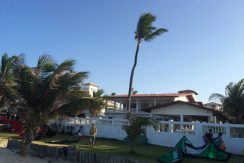 Daily cleaning. 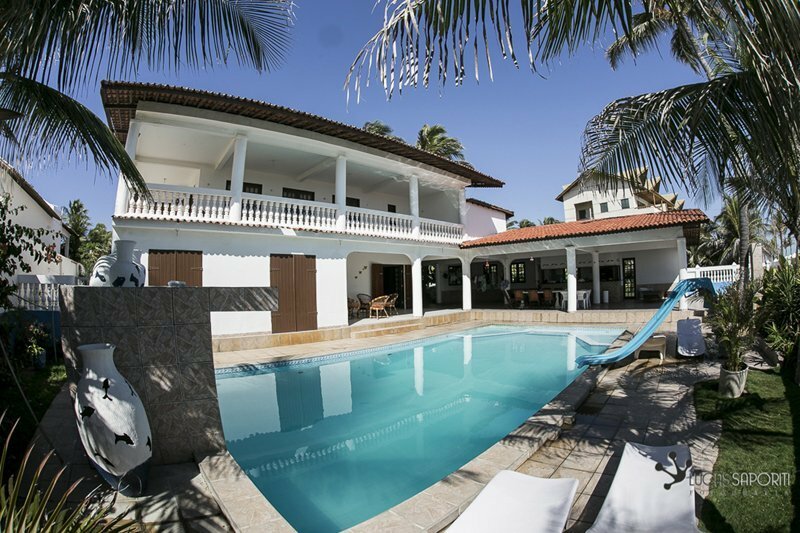 Departure clean-out BRL 150 – to be paid at the house. 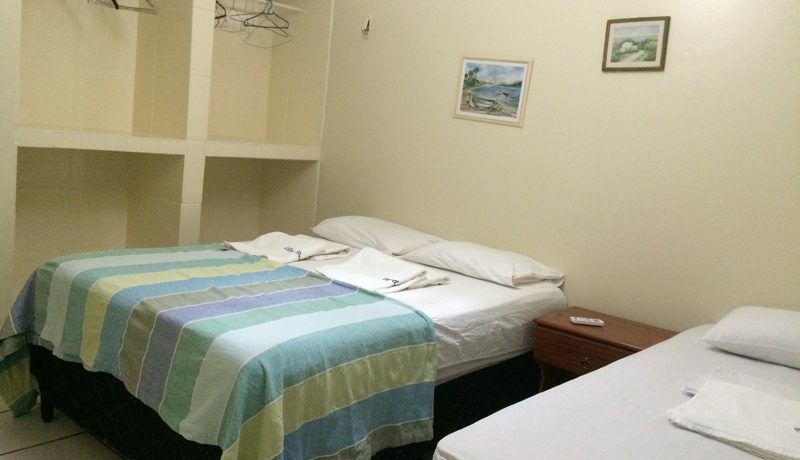 Included: Changing of bed-linen once a week. 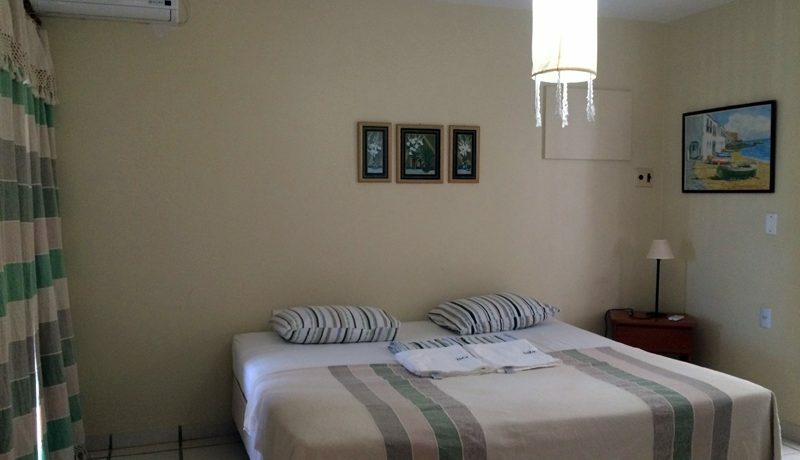 For short period rentals extra charge applies for change of bed-linen. 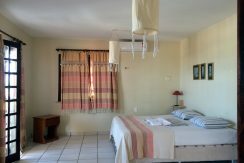 Towels are included in rental fee.